Like love, some things in life are indeed sweeter the second time around. Hey Sugar! – the most trusted, all natural and organic waxing destination across the Philippines is up to spread this sweet, (and smooth) love once again with the return of Sweetest Thing Promo. 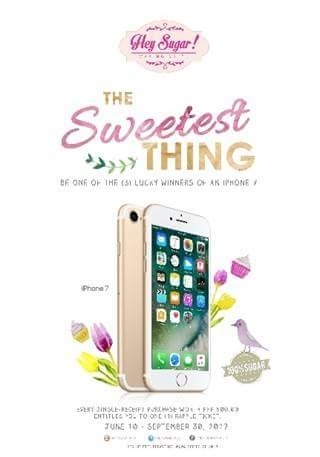 It’s going to be the best time to get that smooth and hair-free skin with the Sweetest Thing 2 Promo. To get more details about the promo, visit www.heysugar.com.ph. Watch out for more updates and exciting promos and giveaways from Hey Sugar! This entry was posted in Events & Press Release, Fashion & Beauty and tagged giveaway, Hey Sugar!.